Finally! Available for pre-order! Prices and specs will be uploaded soon....See QH News for a behind-the-scenes take on the development process. This is the first of its kind, anywhere, and available nowhere else! 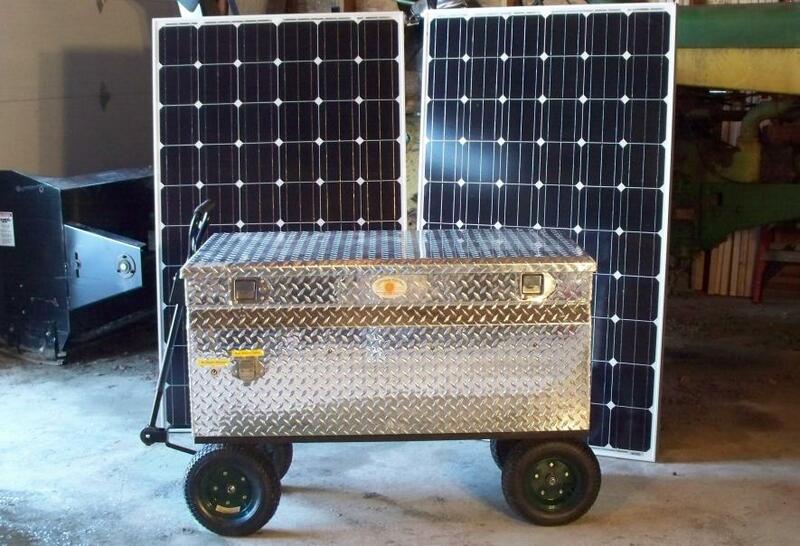 A fully self-contained, EMP-protected, sun-tracking portable solar power system. Several patents pending. A size to fit every budget, all EMP-protected, all metal units designed for decades of service. Finally! Available for pre-order. Prices and specs soon to be uploaded. The first of it's kind, available nowhere else. 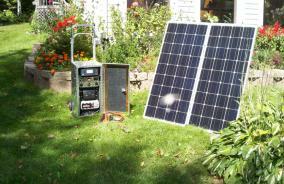 Fully portable, 2-axis sun tracking combined with an MPPT charge controller more than doubles the amount of energy harvested from the solar panels. A favorite for camping and home backup for power outages. This is the smallest unit that will power a full-sized refrigerator or freezer! Our Model 5000, with 120/240 volt power! Designed for those who don't need a trailer-mounted unit, but still need to power items like deep-well submersible pumps and other large inductive loads, the Model 5000 packs a marine-grade, true sine-wave inverter that puts out a whopping 18,000 surge watts for 20 seconds to start the largest loads! Today's electric power grid is extremely vulnerable to a variety of potentially crippling events, some natural, and some man-made. A severe solar storm, an EMP attack with a high-altitude detonation of a nuclear warhead, or even simple computer hacking could cripple the grid, perhaps for days, and in several scenarios, decades. Unfortunately, in today's uncertain world, and also given our dependence on extremely sophisticated and delicate semi-conductor chips and components crucial to almost every facet of our economic system, the possibility of a grid outage is at an all-time high. What can one do to prepare for such a potential catastrophe? Securing a renewable source of electric power for water pumps, refrigeration, and sanitation is a prudent step. 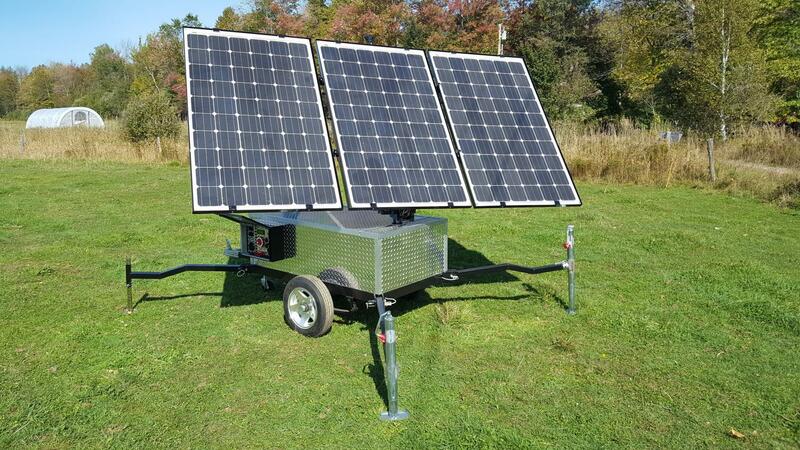 Quantum Harvest manufactures a comprehensive line of portable EMP-protected solar power systems, non EMP-protected smaller units, and premade Faraday boxes for the safe storage of electronic items. Our generator/power stations are hand-crafted machines made with the finest components, and out of honest aluminum, copper, and stainless steel. They are designed and built to last for generations.